What is Rooting and What are its Pros and Cons? Just like you, a number of Android users are curious about rooting and often wonder whether or not they should root their phone. This is especially true for users who are new to the world of Android and are scared that they will damage their smartphone in some way. Keep reading to know what rooting is, what are the risks that you are taking and how rooting unlocks the full potential of your Android device. These limitations are placed to prevent you from making changes to the system – which can accidentally render it unusable. Rooting allows you more control over your device and vastly extends the functionality, even giving you the option of using a custom version of Android. A rooted Android phone is similar to a jailbroken iPhone. Rooting voids your phone’s warranty. So, don’t ever join the dark side of Android rooting unless you’re worried of losing your phone’s warranty. To be succinct about it – rooting is only for Android phone user with a brave heart. To put it simply, rooting is modifying your phone’s operating systems to gain full control over it. On other hands, flashing a custom ROMs is simply installing a modified operating system to your phone. It’s still Android but a modified one courtesy of some tech geeks who managed to tweak the Android SDK. There are several ROMs available for your Android phone and most, if not all of them, are cooler and more fun to use than the stock Android OS that comes pre-loaded with your phone. Warning: Rooting Can Be Dangerous to Your Android Phone, But It’s Fun! The first time I tried to root an Android phone, I was really so cautious about it, fearing that it might brick my unit. I had the very first Google Phone then, the so-called Nexus One which I bought directly from the Google Store. So, you can just imagine how devastated I would have become if I accidentally rendered my phone useless due to a misunderstanding of the intricate process of rooting. Luckily, I did not brick my Nexus One and successfully rooted it. The first time you purchase a smartphone, you’ll realize that after exploring its many features that in the end, you still don’t have total control over it. Why? Well because you can’t accidentally brick it. That’s basically what rooting does – to give you access to your phone’s functions allowing you to become what is known as a superuser. Do the Pros Outweigh the Cons or the Other Way Around? Prior to rooting my Android phone, I researched and read several articles on what I would gain from it as well as the dangers of doing this deed. Fortunately for me, the pros outweigh the cons – so I went ahead and rooted my phone. Allow me then to enumerate the pros of rooting an Android phone, some of which we have mentioned already. Why would you want to root your Android phone and why would you not? Rooting frees your Android phone from the clutches of the mobile carrier where you got your phone from unless you got it unlocked. If that’s the case, rooting frees your phone from the restrictions of the Android OS. Rooting allows you to install “unofficial” and advanced versions of the Android OS. Generally, Android OS are carried over-the-air by Google and selected carriers to their Android-released devices. And this usually takes awhile to happen. Luckily, there are developers who make this updates available and the only way you can install them is to root your phone. Rooting allows you take screenshots of your phone. It is so easy to take screenshots on the iPhone, but it will take rooting for Android phone users to do this. Rooting allows you to move apps to an SD card instead of cramping your phone’s internal storage. 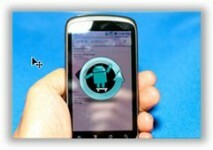 Rooting allows you to use custom operating systems that will render your Android phones more useful. Rooting lets you overclock your phone’s kernel, making it performs faster than it was intended to perform by the manufacturer. Rooting lets you fully personalize and customize your phone’s interface with cool themes, wallpapers, widgets and more. Rooting might void your phone’s warranty. Rooting can cause your phone to act abnormally, especially if not done properly. Rooting renders your phone unqualified to receive OS updates through OTA. So you will be on your own to look out for valid sources. The good news is that your phone is probably running the latest OS after you have rooted it. You’ll be spending more time with your phone since rooting entails constant updates and all. Rooting may make your phone perform faster but there are downsides to it specifically running too hot to the point of overheating your device. Please do note that rooting your phone voids your warranty and the process is risky even in a streamlined form. There is still a chance that you can brick your phone, so be sure about which “rooting” guide you select to follow.